A Turkish judge, identified as Ö. K., was arrested near Turkey’s Greek frontier in Edirne’s Ipsala district on Monday. 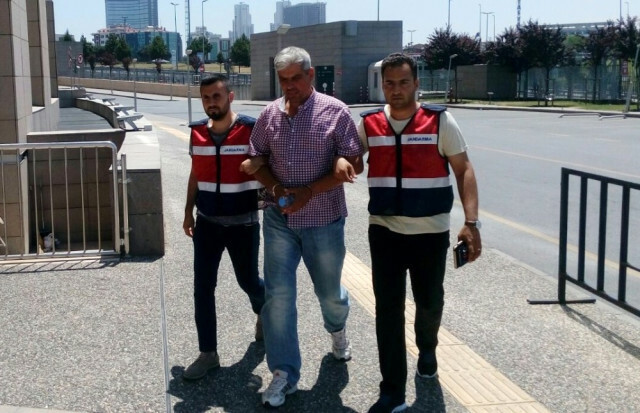 Gendarmerie raided a country house in Haci village in Ipsala and rounded up Ö. K. who had an outstanding arrest warrant issued as part of an investigation into the Gulen movement which the Turkish government accuses of masterminding the July 15, 2016 failed coup attempt. According to DHA news agency, Ö. K. was earlier dismissed from his job under a post-coup emergency decree. The court overseeing Ö. K.’s case out him in pre-trial detention. More than 120,000 people have been detained and some 50,000 including academics, judges, doctors, teachers, lawyers, students, policemen and many from different backgrounds have been put in pre-trial detention since last summer.